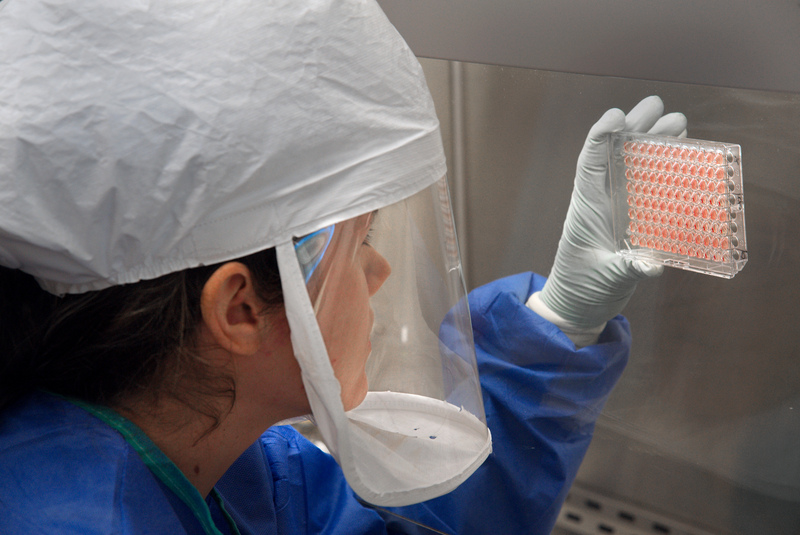 For sound and video clips, visit CDC Laboratory Works on H7N9 at CDC Media Relations Audio/Video Resources. This diagram depicts the origins of the H7N9 virus from China and shows how the virus’s genes came from other influenza viruses in birds. 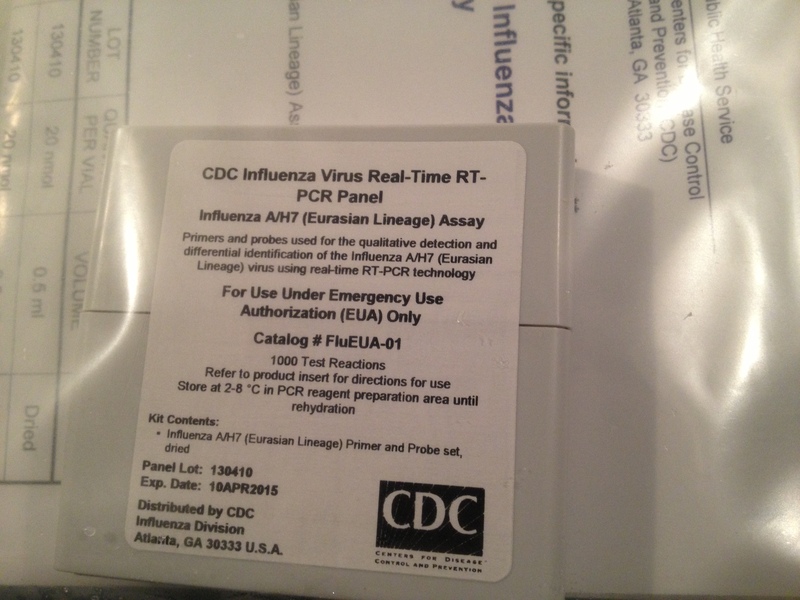 Influenza A H7N9 as viewed through an electron microscope. Both filaments and spheres are observed in this photo. Spherical influenza A H7N9 virus as viewed through an electron microscope. 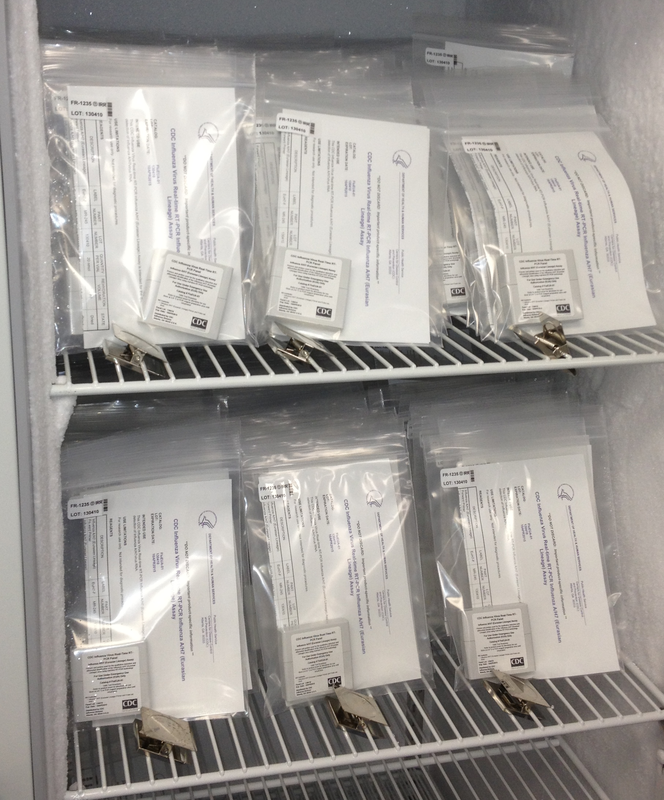 A freezer contains CDC’s H7N9 reagent kits for international shipment. 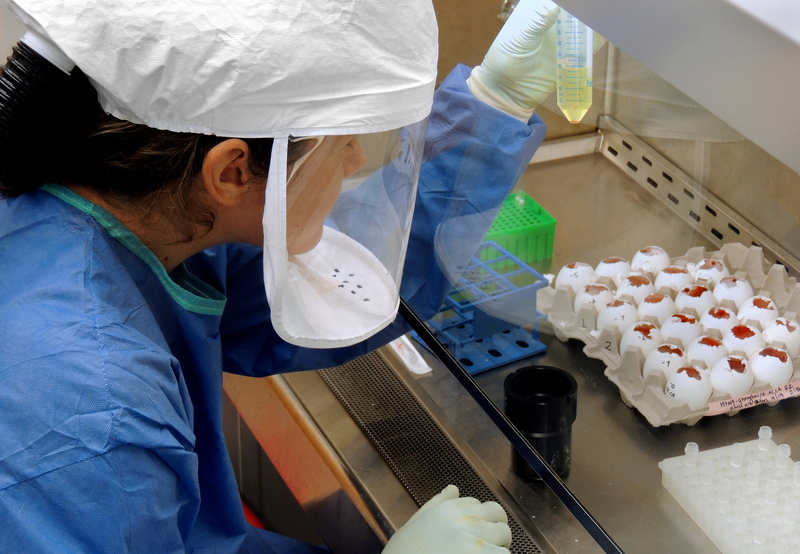 A CDC Scientist harvests H7N9 virus that has been grown for sharing with partner laboratories for research purposes. 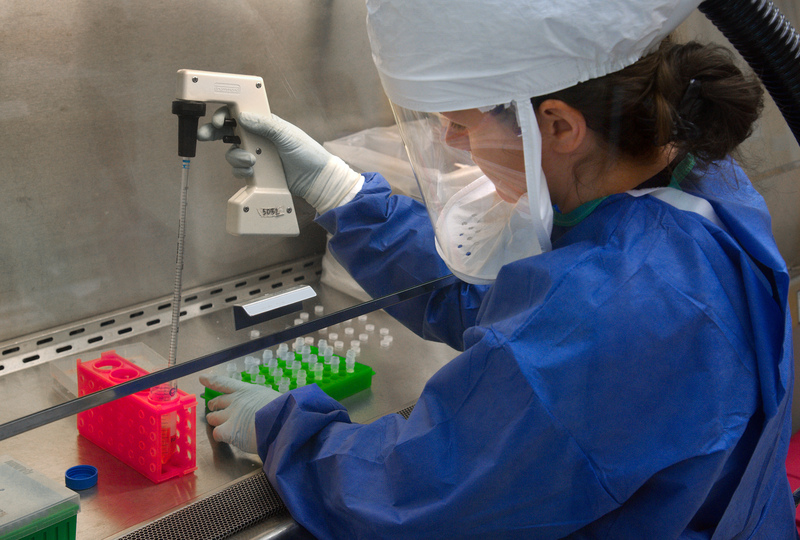 A CDC scientist measures the amount of H7N9 virus that has been grown and harvested in CDC’s laboratory. 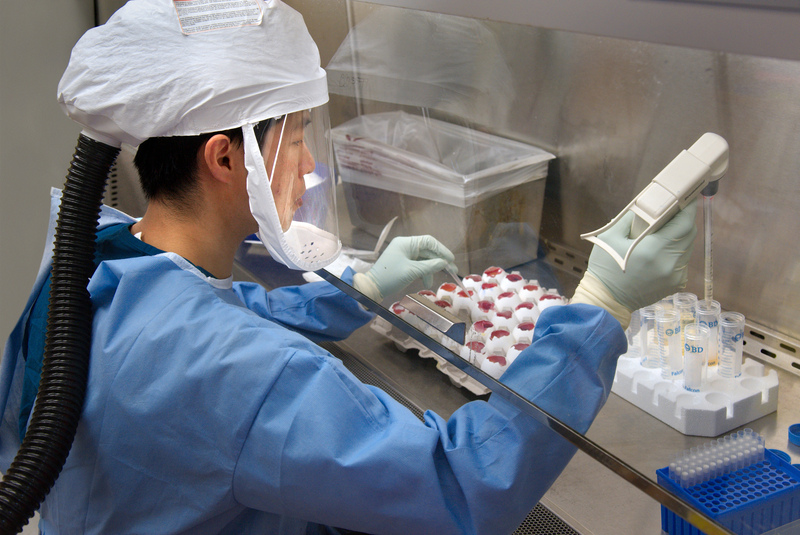 A CDC scientist uses a pipette to transfer H7N9 virus into vials for sharing with partner laboratories for public health research purposes.